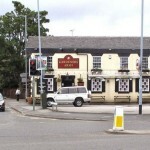 Trying to find pubs in Brinnington And Central? You’ve come to the right place. We’ve got every pub and bar in the UK listed. 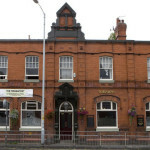 Whether you’re looking for a pub or bar in Brinnington And Central to play darts, somewhere to play pool or just want to have a look at a menu before you go, we can help. Golden Hind in Offerton has a beer garden. The pub has a car park, it has disabled facilities. Golden Hind serves food. The pub serves real ale, it has DJ's. Golden Hind has a pool table. The pub has a big screen, it shows football on TV. Golden Hind shows rugby on TV. The pub has Sky Sports. Crown Inn in Stepping Hill shows football on TV. The pub has terrestrial TV. 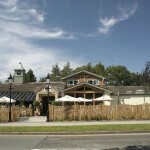 A great pub with a spacious feel, great atmosphere and modern decor. 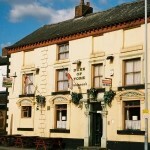 A Modern Pub In The Heart Of Stockport, Selling Traditional Carveries, Cask Ales And Fine Wines. Dog & Partridge in Stepping Hill shows football on TV. The pub has terrestrial TV. George & Dragon in Hazel Grove serves real ale. The pub is a member of Cask Marque. Great pub with great owners and staff. This large Victorian building dominates the junction on Hempshaw Lane in Offerton. It is a friendly pub in a quiet residential area offering excellent hospitality, food and drink for which it has won many awards. Harvester in Offerton has a car park. The pub is a family friendly pub, it has an outside area. Harvester has a smoking area. The pub has a dart board, it has a pool table. Harvester has a big screen. The pub shows football on TV, it has Sky Sports. Harvester has terrestrial TV. 22/09/2014 Superb Sunday lunch. Recommended! 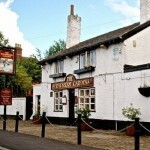 Gardeners Arms in Stockport has a beer garden. The pub has a car park, it serves food. Gardeners Arms has an outside area. The pub serves real ale, it has free WiFi. 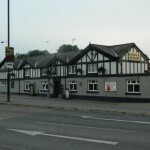 Gardeners Arms is a member of Cask Marque. 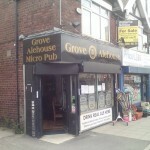 Grove Alehouse in Hazel Grove has a beer garden. The pub serves real ale, it has a smoking area. Grove Alehouse has free WiFi. The pub has terrestrial TV, it is a member of Camra. The Duke of York is just outside Stockport town centre on the A6 heading towards Buxton. It has well-appointed en suite letting rooms and an enclosed courtyard to the rear, which is a real suntrap in the summer.